■The T handle provides a large leverage. ■Can be used with a ratchet handle. 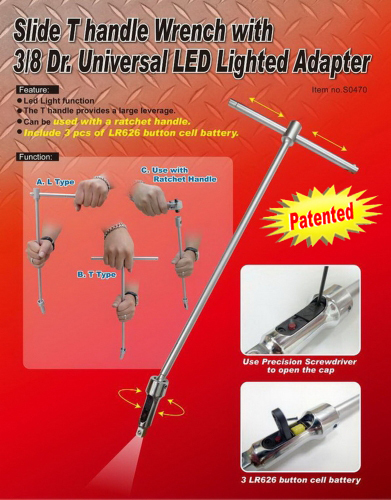 ■Include 3 pcs of LR626 button cell battery.